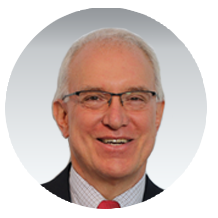 William Mencer has served as Corporate Controller and Chief Accounting Officer for Sheffield Pharmaceuticals for 13 years. In this role, Mencer has overall responsibility for Sheffield’s financial reporting, planning and budgeting, systems of internal controls, risk management, corporate and benefits accounting. Mencer has previously held a variety of senior management positions in accounting and operations with public accounting firms and in corporate environments with a concentration in retail warehouse operations. These positions included, among others, Price Coopers, Wal-Mart, The Price Club and Zayre Corp.
Mencer holds a B.S. in Accounting from the University of Rhode Island and MBA in Business Administration from the University of New Haven.